Taylor Swift on the cover album for her new album "Reputation." Photo Courtesy of Bailey Smith. When “Look What You Made Me Do” came out, I was not happy with the new Taylor Swift. I even wrote an article about how much I didn’t like it. Then, “Ready for It” was released, and I was still hesitant to like the song. I was only a fan of the old Taylor, and I didn’t like this different version of her. Even after I wrote the article about disliking Taylor’s new music, I found myself constantly playing the new songs when I was handed the aux. I hated that I liked it, but I couldn’t help myself. Then, “Gorgeous” was released, and I will admit that I actually really liked that song. It was so catchy, and I was living for it. I was still uncertain whether I would like Taylor’s new album, “Reputation,” when the album actually came out. I didn’t know if there would be any other good songs, or if it would just have a few bops and then filler songs. That didn’t stop me from buying the album when it was released on November 10, though, since it isn’t available on Spotify or Apple Music yet. 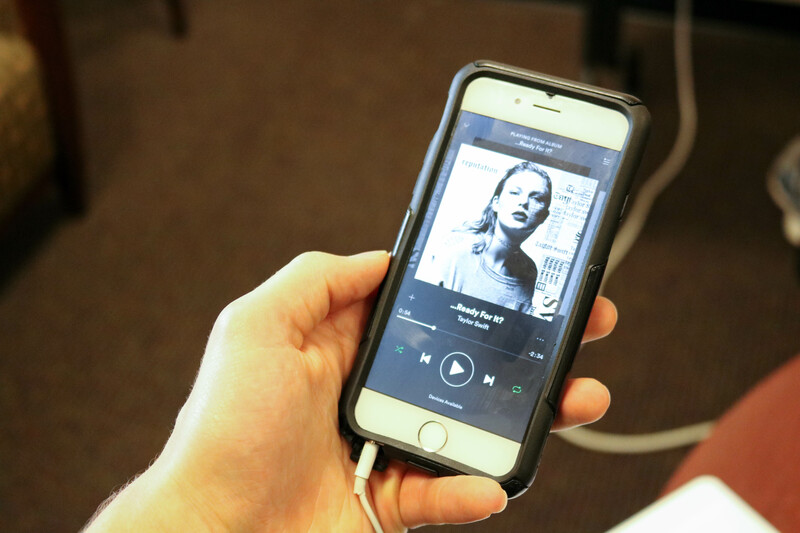 My devotion to Taylor throughout the years forced me to buy “Reputation” on my phone without a second thought. When I first listened to the album, there were only two songs—other than the ones previously released—that I really liked: “This Is Why We Can’t Have Nice Things” and “Don’t Blame Me.” I just thought the rest of the album was average. Flash forward to me right now, though, and you’ll catch me listening to the entire album on repeat. Much like “Look What You Made Me Do,” the album is continuing to grow on me. There are lots of bops on this album, and “New Year’s Day” is the sad song I needed from Taylor. I do wish that she had more depressing songs on this album, but in retrospect I don’t think that’s the point of this album for her. This is her I-Don’t-Care-About-Anything-And-I’m-Gonna-Do-Whatever-I-Want album, and, honestly, I’m here for it. I’ll always love “You Belong With Me” and “Our Song” Taylor more than this new, modern Taylor, but that doesn’t mean I’m going to boycott “Reputation.” Although many people I’ve talked to have had negative responses to this album, I’m still a fan. I hate to admit it, but I’m definitely going to be listening to this album on repeat for at least the next few months.